It's spring time and a young man's fancy turns to thoughts of love, so the poet says. But for a lot of us, spring is the time to hit the road and enjoy a respite from winter weather ... Sun and fun after dreary months of cold temperatures and grey days. This rite of Spring comes with an inherent danger though, as too many people end up enjoying too much sun and a bad sunburn can ruin a trip. Absolutely Natural has the answer. Our 100% natural sun care products are all you need for a safe time in the sun and a bonus of a great tan. 1. The first couple of days be extra cautious. Avoid exposure during the most intense time of the day, noon to 2pm. 3. Most importantly, rehydrate your skin at night and "condition" it to be able to take more sun the next day. 1. Protect: Sun sensitive areas of the body need a higher SPF since they burn more easily than the rest of the body. These sun sensitive areas are easy to determine... Anywhere the bone is close to the skin like your forehead, nose, décolletage area for women, backs of the knees and tops of the feet. You should use our SPF 25 or our SPF 15 depending on your skin type. 2. Promote: The rest of your body is not as prone to sunburn since UVB light does not penetrate as deeply on areas where you have muscle and fat beneath the surface of the epidermis. A moderate sunscreen such as our SPF 8 should be used there. Once you have a base tan, our tanning oil is a good selection as well. 3. Prolong: Probably the most important and neglected step. Everyone will pick up color through the day and what you do at night is crucial. If you do nothing to help heal the skin and get it ready for the next day, damage will occur with each day of repeated sun exposure. And, even if your tanning process catches up, your skin will be dry and the tan will flake off. Nightly use of our Rosehip Aloe helps heal the skin, rehydrates the epidermis and "conditions" the skin for exposure the next day. The result Is a healthy, vibrant and long lasting tan. If you get a little too much exposure during the day and actually have a burn, use our famous Pure Aloe with Tea Tree before use of the Rosehip. It is such a great healer that Emerson Hospital in Boston uses it as a treatment for patients with radiation burns. Some of you may be wondering why not an SPF 50 or even higher? Read my blog from last year and get the true story behind the dangerous high SPF's. One last thing. Make sure you apply the product correctly. It is almost comical to watch people rubbing their sunscreen in so quickly; it's like they are in a frantic race. That is exactly the wrong thing to do. Apply sunscreens in sensitive areas by "dabbing" it on while the rest of your body should be covered by "laying" the product on the skin. Spread it smoothly over the skin and let it sit for at least a minute before putting it the rest of the way into the skin. At night, take a warm shower and apply the Rosehip Aloe after patting yourself dry by laying it into the skin. Here's to a safe, fun spring vacation and upcoming summer. Recently, through a mutual acquaintance, I became aware of a young woman named Mikki Kragelund. Mikki is a Danish American who grew up in Cocoa Beach, FL near our Absolutely Natural headquarters. 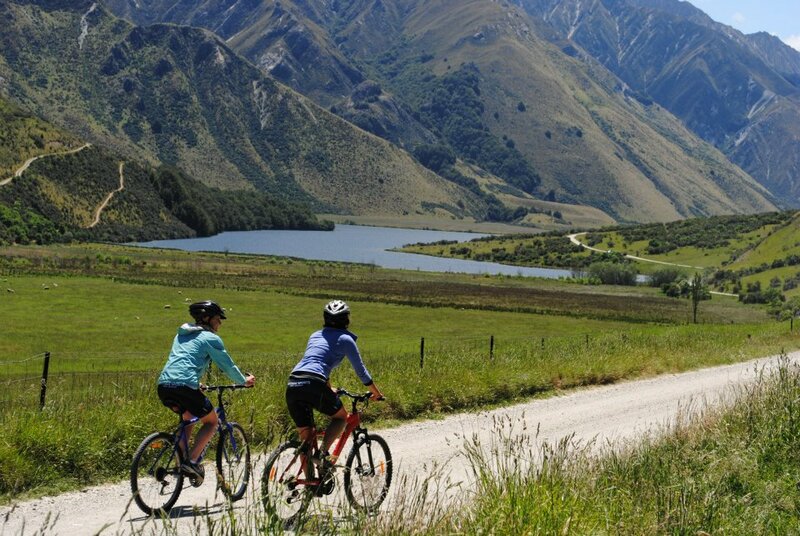 She has since moved to the beautiful country of New Zealand where she and a friend named Nina Oosterveer decided to make an inspirational journey together riding their bicycles North to South through New Zealand, approximately 1,500 miles. For a comparison within the U.S. the distance is roughly Dallas to Los Angeles or Boston to Miami! The inspiration for their ride came about as a way to celebrate “life” one year after Mikki received her last treatment for skin cancer that she had been diagnosed with nearly two years earlier at the young age of 24. She and Nina selected The World Skin Cancer Foundation to be the charity they wanted to raise funds for through their own personal, grass-roots efforts. Absolutely Natural is pleased and grateful to Mikki and Nina for allowing us to take part as Title Sponsor of Sunny Cyclers! Their inspiring adventure through the wonderful scenery of New Zealand is being chronicled via today’s web technology as they share journal updates and pictures on their website and via Facebook. Without telling their story any further…please click on the graphic link below and go to the Sunny Cyclers Site to learn more and join us in supporting The World Skin Cancer Foundation through their efforts if you feel the desire to do so!